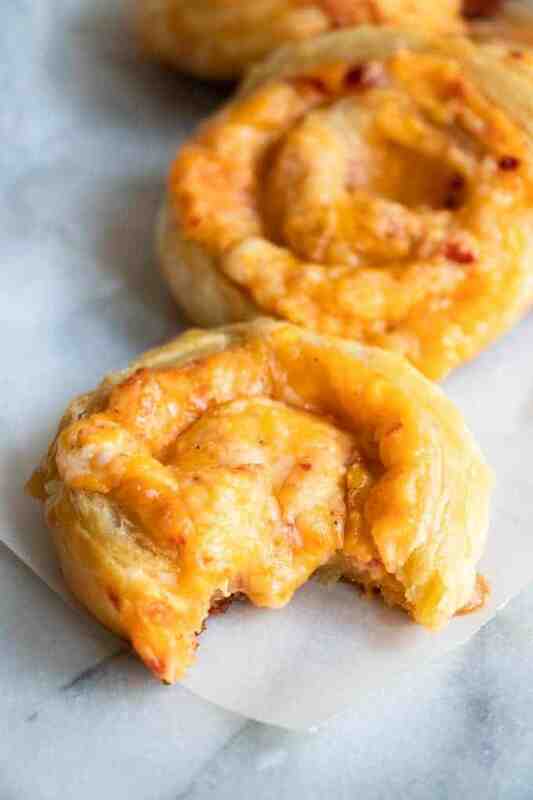 Pimento Cheese Pinwheels. 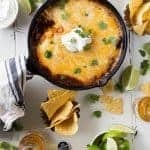 Easy and cheesy! 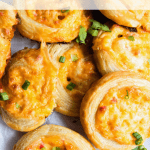 These baked pinwheels loaded up with a creamy pimento cheese are sure to be a hit!! Is there anything better than a cheesy appetizer? Or game day food? The best. Pure comfort food, all in bite size amounts. 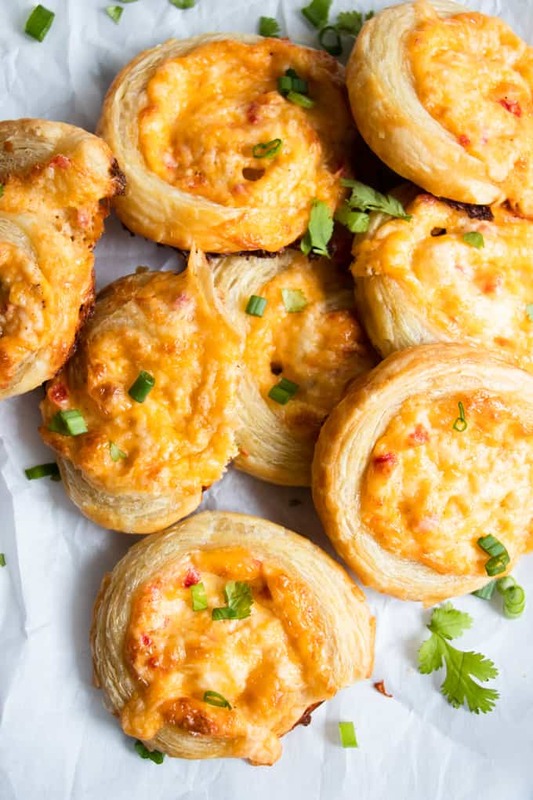 These Pimento Cheese Pinwheels will fit right in on any spread for the Big Game. 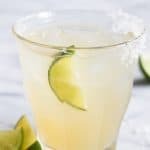 Plus, they are easy to make! 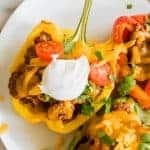 To make this recipe even easier we are using Borden® Cheese Shreds. I personally love a variety of cheeses in my Pimento Cheese, so I grabbed the Triple Cheddar with mild white, medium and sharp cheddar. They also offer a Four Cheese Mexican. Or of course the bags with just single cheeses if you like to make your own mix. For even MORE melty cheese coverage I love to use Borden® Cheese Thick Cut Shreds. This cheese is cut thicker, (5x thicker!) making it ideal for melting and giving a smooth, creamy, cheesy coverage for all your game day foods. Borden® Cheese has crafted high quality cheese made with wholesome ingredients, like real milk rich in protein and calcium. 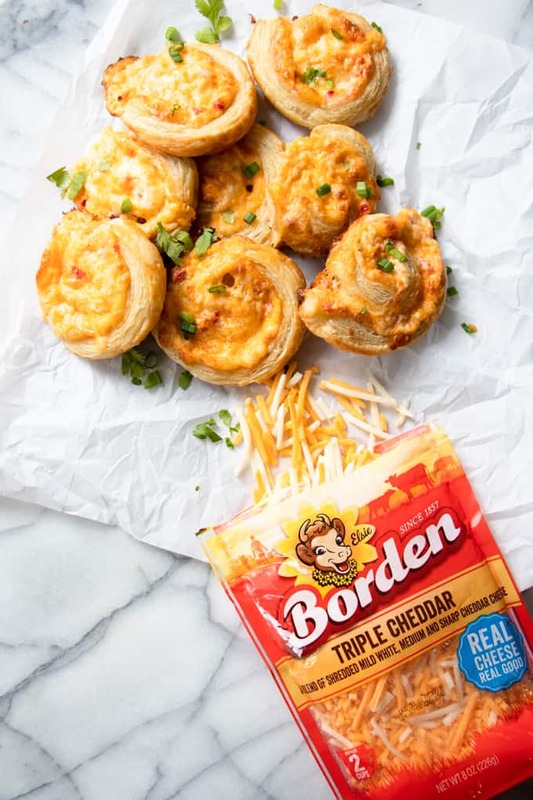 The milk comes from a cooperative of more than 8,000 family-owned dairy farms across the United States, and every chunk, slice and shred of Borden® Cheese is pure, creamy goodness that transforms your favorite game day recipes into something memorable. Pimento cheese is an easy-to-make dip that is perfect for get togethers and parties. The main ingredients are of course, cheese and diced pimentos. The base of the dip is a combination of mayonnaise and softened cream cheese. I like to keep my pimento cheese simple and season with salt and pepper. You can also dress it up more with the addition of garlic powder and/or onion powder. 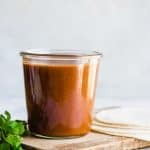 You can also take it further and add additional spice with diced green Chile’s or diced jalapeños, kind of like I do in my Tex Mex Hot Pimento Cheese Dip recipe. 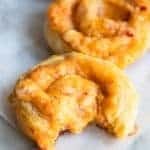 Since we are baking these pimento cheese pinwheels, we don’t need to process the dip, which can be helpful when just making the pimento cheese dip on its own, to break up the shredded cheese and blend the ingredients more to make for easier dipping. Check out the Borden® Cheese selection at your local market! 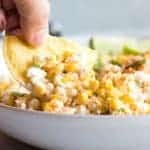 In a medium size bowl combine the shredded cheese with the softened cream cheese and mayonnaise. Stir together to create a consistent texture. Add the diced pimentos, salt, pepper and stir. In a small bowl add the egg and water. Whisk to combine. Brush the egg wash over the top of the puff pastry. Spoon pimento cheese mixture on top. Spread it out into a consistent layer. Carefully roll the puff pastry to create a roll. Gently slice the roll into 1-inch long sections using a sharp knife. Lay onto a baking sheet lined with a silicone baking mat or foil. Make sure to not crowd the rolls or they will stick to each other while baking. On a half sheet size baking pan, I can get 9 rolls. Bake for 20 minutes, rolls will be golden, and cheese will be bubbly. Allow to cool for about 5 minutes then remove from the pan. The longer the puff pastry defrosts, the softer the dough becomes, and it will spread more during baking. I remove the puff pastry and warm in the microwave for 10-15 seconds then use it. Or just set out to warm at room temperature for about 15 minutes.